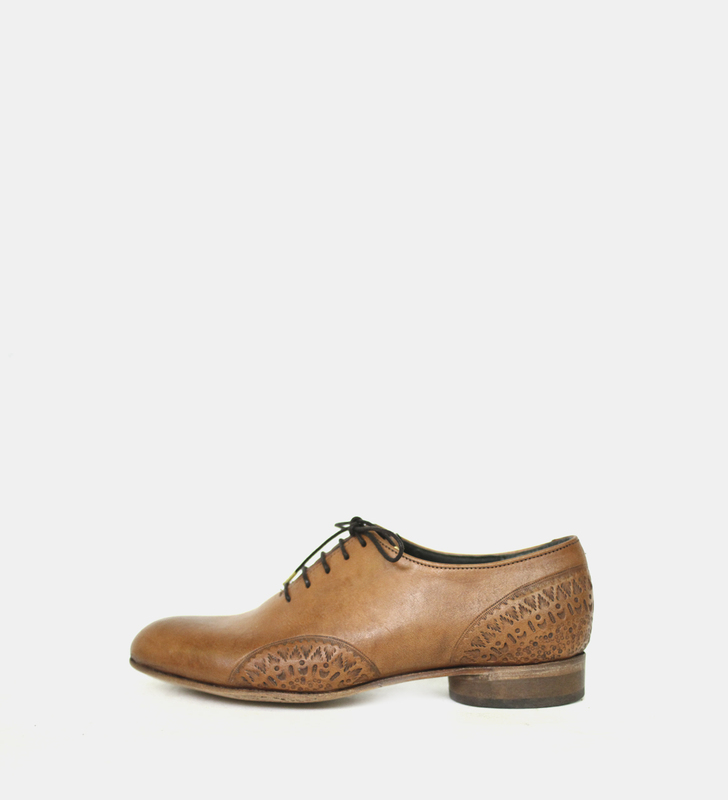 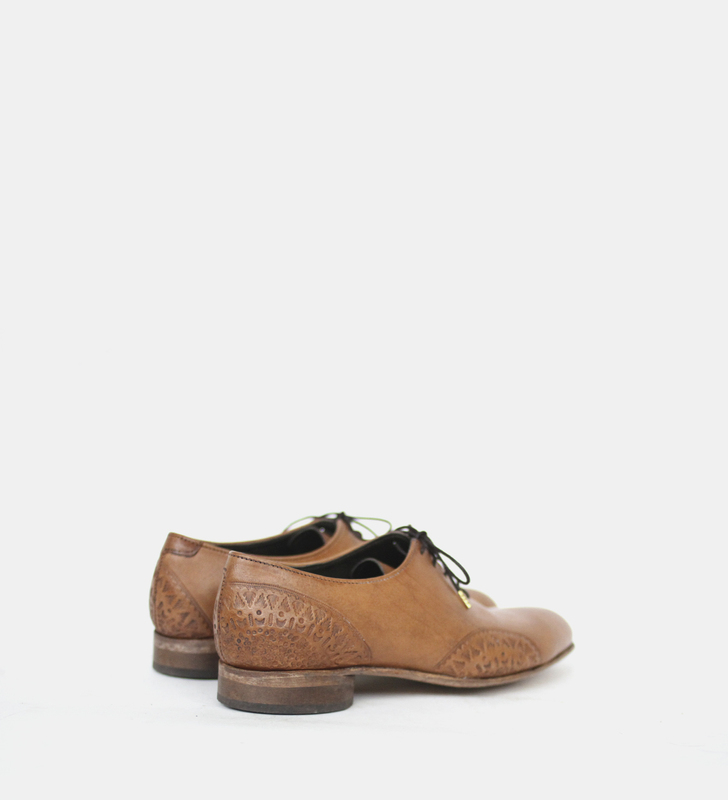 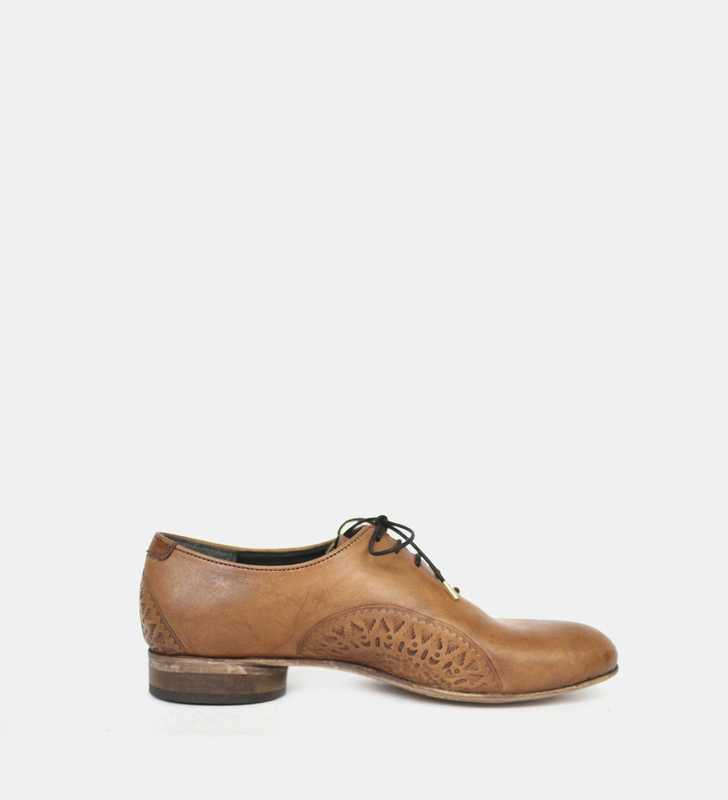 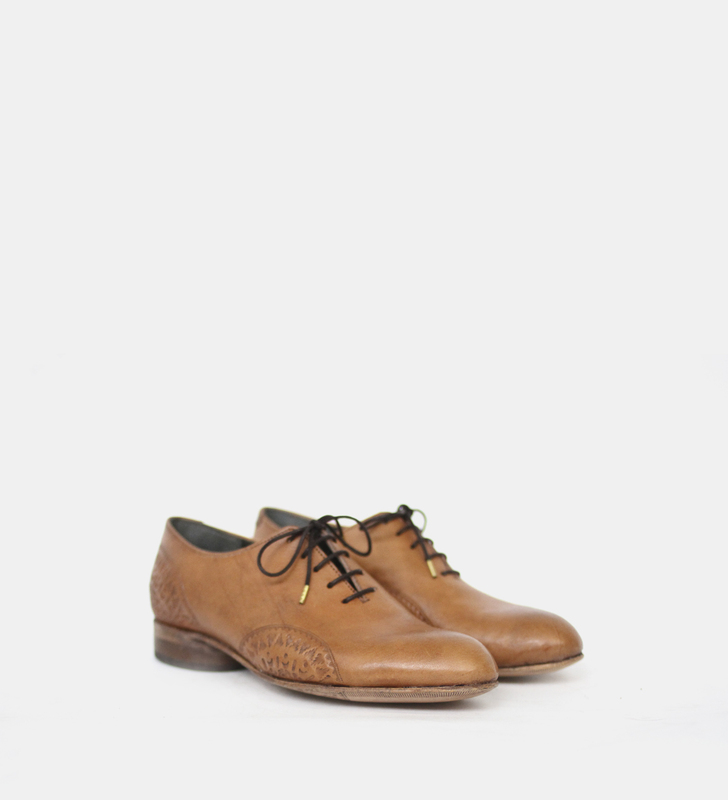 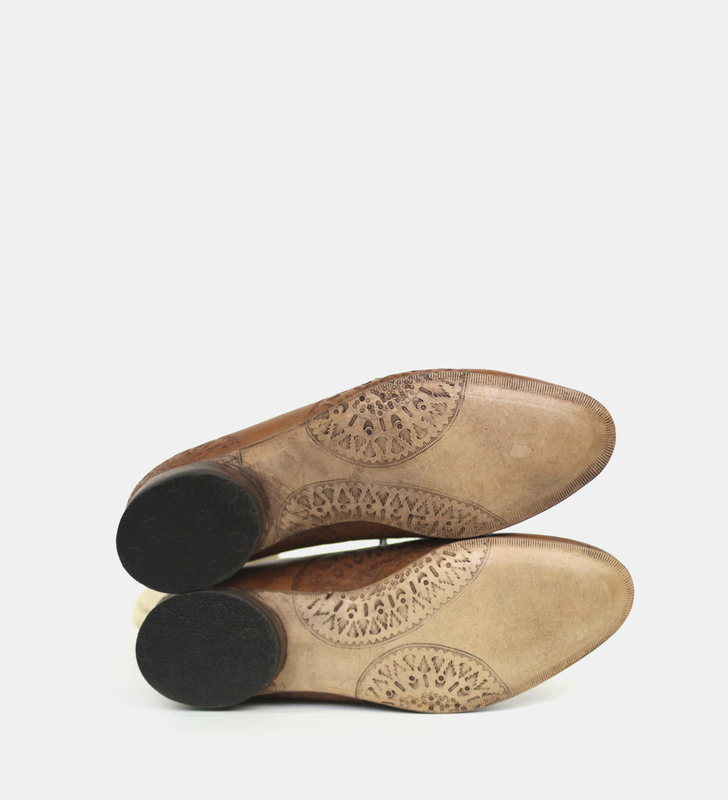 This wholecut shoe showcases the beauty of leather tooling on vegetable tanned leather. 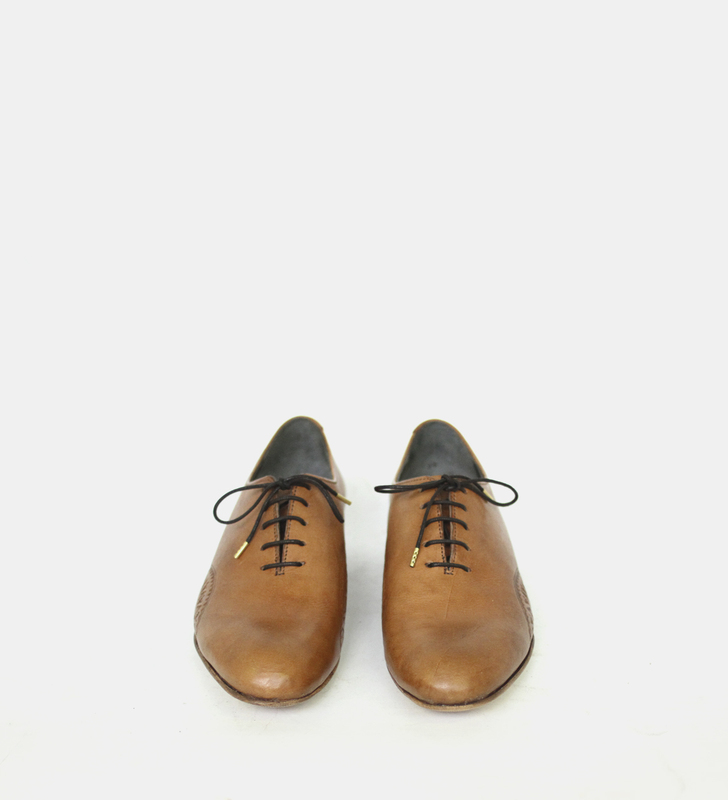 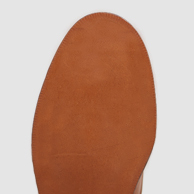 Sole: 3.5mm English oak tanned, raw, plain jane leather sole. 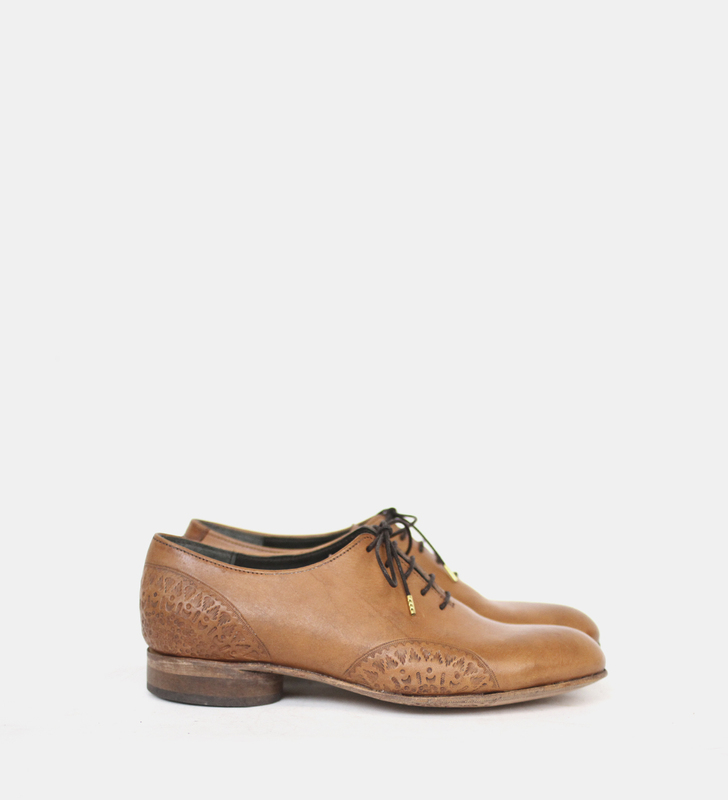 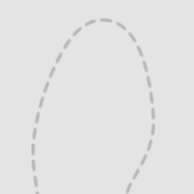 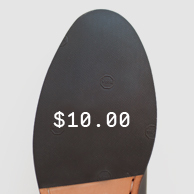 Stacked and rounded leather heel, tapered, Vibram top piece. 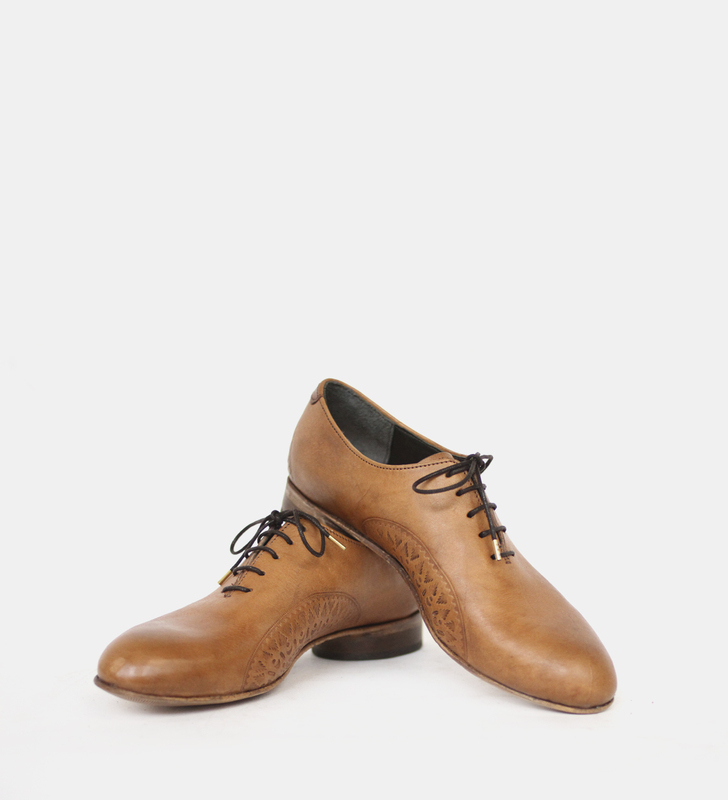 Made on our ladies Cambridge last (D fitting) with an almond toe.